Alias “The Rose” is a 23-year collection of eclectic poetry by Laura Porras. She draws on life experience and the people around her in various ways, playing with words as she goes. Laura allows us to use all five senses while enjoying her work. She wants everyone to know that they too have a voice and that silence in any form only brings about disregard in every form. 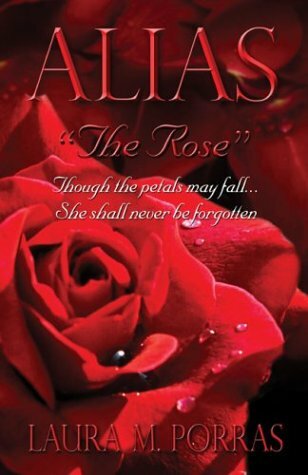 In her title piece, “Alias ‘The Rose’ “, Laura describes in essence coming out of her shell and having her voice finally heard. She drew on the support of those around her and was able to talk about the secrets that were holding her back emotionally. Once she opened up, like a rose in full bloom, she was able to “let her petals fall” in a literary sense and expand on her life, letting it take her where it may. Finally coming full circle as an adult, she was able to make life a “learning and growing” experience rather than a daily struggle. All of her work incorporates this idea and challenges us to look at life through her eyes for a while. Laura lives with her husband and children in Yelm, Washington.